Why some Chinese have English names? - Harold Tor. China is fast becoming the place in the world to do business, and the only place now in the world where growth figures are still in the positive. Old superpowers such as western Europe can only mire in their EU bureaucracy while the euro sinks further in value. When you switch on the television, there are always at least one report on China every single day. I happened to be doing just that the other day when the Chinese man being interviewed was presented as “Jason Li”. Now, Jason’s English was relatively good for a Chinese person. You could make out what he was trying to say if you knew Mandarin yourself. But otherwise any effort to comprehend his English was futile. Why on earth does he call himself Jason? Big White Guy, presumably a large man of Caucasian race, who lives in Hong Kong has a list of the most ridiculous examples of “English” names adopted by the Chinese. My personal favourites are Yucky and Frog. The adoption of English names seem to be rampant throughout the whole Chinese-speaking world. Some model their English names after their Chinese names, such as singer Wu Sikai 伍思凯 or “Sky Wu” and singer/actor Zhou Jielun 周杰伦 ”Jay Chou”. Others name themselves after the weather: actress Yang Chengling 杨丞琳 is “Rainie Yang”. 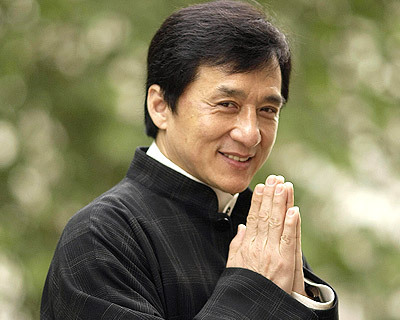 I wonder if Jackie Chan 成龍 got his name from Jackie Onassis and knew she was a woman. But I prefer other Chinese actors who made it into Hollywood but kept their Chinese names, such as Shu Qi 舒淇 and Gong Li 巩俐. 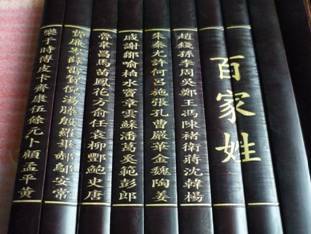 In order to find out why the Chinese adopt English names, one has to go far back into history. In fact, the Chinese are obsessed with names, and they have been doing it for more than a few millennia. First they had two family names. The name for family name which has survived till today is xing (姓). Judging from the pictogram, xing refers to the “the woman who gave birth to the child” and when pronounced in Chinese languages which still retain phonetic features of ancient Chinese, such as Hokkien and Cantonese, the word shares the same pronunciation as the verb “to give birth to”. The other family name shi (氏) came about when society changed from matriarchal to patriarchal, to reflect the name of the father of the family. By the Qin era (221 BC), all members of the upper class had both xing (name of one’s patriarchal line) and shi (name of one’s matriarchal line) to reflect their lineage. There are about 5730 xing in existence, out of which about 3000 are still in use. Then comes the name called ming (名). Many Chinese own two names, written after the family name, not before. The first name is the generational name, that is to say, in an ancestrial clan, all male members of the same generation share the same first name. So, if someone’s family name is wang, he shares the same first name as his brother and his uncle’s son, but not his sister nor his brother’s son. The second name, which follows the generational one, is the only one that belongs to oneself. It is given by one’s parents or elders. Because it was deemed rude to address someone by their ming, especially by someone younger or inferior in class status, by the Tang era (618 AD) most upper class members had zi (字). Military strategist Zhu Geliang’s (181-234 AD) zi was Kong Ming and General Yue Fei (1103-1142 AD) was known to his peers as Peng Ju. However, because zi were given by one’s parents or elders, upper class Chinese came up with another category of names called hao (号). One can be as inventive as one desires when it comes to hao: Poet Du Pu (712-770 AD) called himself Shaoling’s Old Savage. 20th century writer Lu Xun (1881-1932 AD) had almost 140 different hao, his real name was Zhou Zhangshu and Lu Xun was his best known pen name. Hao are not known as hao anymore in the Chinese-speaking world: writers are known by their pen names while actors and actresses adopt stage names, although this tradition is thousands of years old and is certainly not restricted to famous people. While this long history shows why the Chinese are so liberal in giving themselves names, especially those belonging to the upper class, it does not explain why they specifically adopt English (or what they perceive as English) names and not, say German or Swahili names. To find out the answer to the above question, one has to look to the history of the adoption of English names. 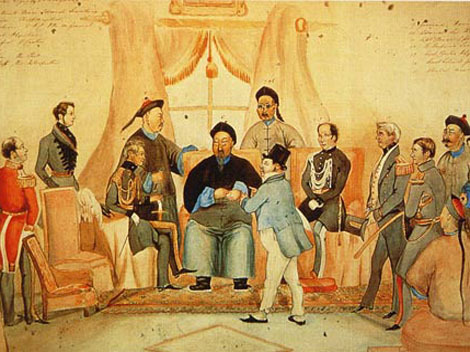 The Treaty of Nanjing signed on 29 August 1842 marked the end of the First Anglo-Chinese Opium War. Under the unfair terms of the treaty, Hongkong was ceded to the British and Qing China was forced to open up its trade to foreign powers. This led to the establishment of international settlement in Shanghai, starting with the British concession the year following the signing of the treaty. The insult was deemed so great, that Mao claimed that just after six years of reform the Communist Party managed to revert the health of China (《增强党的团结继承党的传统》). With the onslaught of the Second World War, the civil war and the Communist rule thereafter, China in fact did not recover at all until it opened its door again in the 1990s. But a deep sense of cultural inferiority has already set in. It was a huge empire with a long history, advanced writing, profound language and culture that have continuously lasted for four thousand years (and the only civilisation in the world to have done so). It was divided, corrupt. Its people fallen to the vice of opium (lured by the British). It failed to defend its territories against not only its neighbours – Russia and Japan, but also countries far far away. It was so ashamed of itself and its traditions, that it turned to another western ideology to amputate itself from its inferior past: communism. Meanwhile, Hong Kong went through quite another development under British rule. Similar to other colonies, all aspects of governance and administration were conducted in English. Gradually, a class of English-speaking locals were nurtured as a cushion between the British administrators and the Cantonese-speaking lower classes. In order to assert their “British-ness”, therefore proximity to power, as opposed to the lower classes, members of this class adopt English first names. They sent their children to top British universities, so that when they return, they could get a good job in the civil service even more so, because of their British education. A similar situation was happening in another British colony with large Chinese population: Singapore. Over there, the adoption of English by the middle class was even more rapid due to the cultural heterogeneity of the population, with less social stigma when one abandons one’s culture (at least in name) in the pursuit of better career prospects. Other elements were also at play, such as religion and education. Often, conversion to Christianity is used as a justification for the adoption of British’s language and first names. In Singapore, English was adopted as the country’s first language after independence in 1965, not before. English was therefore forcibly imposed on all schools as the medium of instruction, this inevitably further upholds English as the language of the (new) English-educated ruling class. Meanwhile, the rise of United States after the Second World War as the world’s superpower has definitely reinforced the perceived superior status of the English language in the region, despite the waning of the British Empire and British world dominance. American movies, American music, the American way of life and the American dream definitely made a great impact not just in Hong Kong and Singapore, but also all over Southeast Asia. It was the only region in the world where American movies were not (and still are not) dubbed in the afterwar period, all the way into the last decade. This did not go unnoticed in the Republic of China – Taiwan, whose population viewed the United States as its protector. 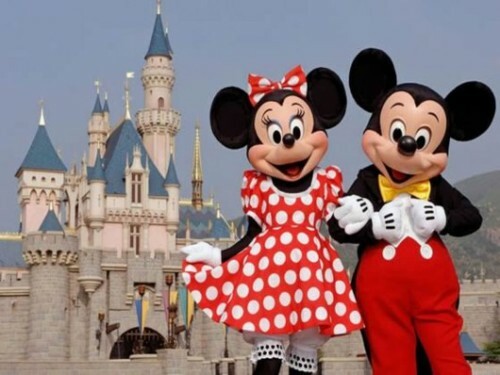 Politicians were eager to reinforce the positive aspects of the US by letting its population eagerly consume the dreams and images conjured by the rapidly-growing American pop culture. 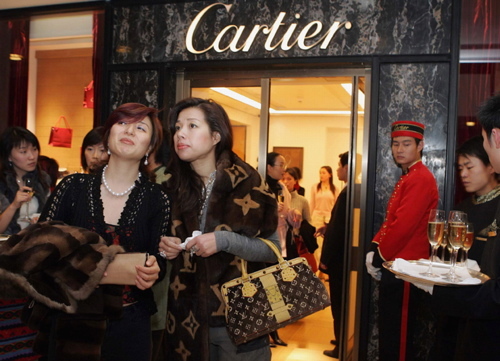 In my opinion, three elements led to the ready adoption of English names: the colonial experiences of Hong Kong and Singapore, the rise of America as a super power and producer of pop culture, and lastly the rising affluence of Chinese-speaking societies. As mentioned before, the Chinese have no qualms about adopting names for themselves. Self-given names have been for centuries a marker of individuality and social status. Due to the various historical and socio-political developments outlined above which gave rise to the perceived prestige of the English language, English names are deemed as markers of social advancement. This is a process that has been going on for decades in Singapore, Hong Kong and to a much lesser extent in Taiwan. And it is now taking place in mainland China. Foreign businessmen and journalists are often surprised when the locals they met have English names. Sometimes, these locals speak more or less fluent English. Other times, their English is virtually non-existent. But bear in mind that because they are in contact with locals with higher social status or of better financial position, being given an English name is a subtle indication of their advance social status, not their linguistic skills. Most Chinese you deal with will neither admit to or understand the complex reasons behind this phenomenon. Most of the time, they have ingested these reasons through their upbringing and the world around them. They may have given themselves personal reasons for doing that, such as making it easier for foreigners to pronounce their names (but why not Japanese names for Japanese friends and Hindi names for Indian friends then?) or informing foreigners that they speak and understand English. But whatever those personal reasons are, this widespread phenomenon is a manifestation of the sense of cultural inferiority in the post-Nanking era. It will take some time before the Chinese are proud of their real names again, and I hope for them that it will be soon.